One might have thought that we’d heard the last of former Amaya Inc. CEO David Baazov following the June 2018 dismissal of the insider-trading case brought against Baazov and several business associates and entities by Quebec’s securities regulator, Autorite des marches financiers (AMF). But no: Baazov has announced the filing of a $2 million lawsuit against the AMF for what counsel for Baazov has described as “abusive” and “malicious”, regarding the five felony charges that the AMF brought against Baazov in March of 2016. Baazov, in a 25-page statement of claim cited by Canadian wire outlets, asserts within that filing if he wins his claim against the AMF, he’ll split up the $2 million among five separate Montreal-based charities. The charities themselves aren’t named in the wire-service reports. A spokesman for the AMF, Sylvain Theberge, declared that Baazov’s lawsuit is “unfounded” and added that the AMF will “vigorously” defend itself against Baazov’s claims. The charges against Baazov, two business associates, and three other corporate entities centered on highly suspicious trading activity for several weeks leading up to Amaya’s 2014 $4.9 billion reverse takeover of PokerStars parent The Rational Group. Two large investigations launched by the AMF began with the market curiosities that led up to Amaya’s acquisition of the PokerStars family of assets. The charges against Baazov, another Amaya executive, Benjamin Ahdoot, and Baazov’s financial advisor Yoel Altman originated from one of the two investigations, called Project Audace (French for “audacity”). A much larger number of individuals connected to Baazov and Amaya were investigated in technically-still-ongoing and closely related Project Bronze. That investigation expanded to include several earlier corporate deals involving Amaya, and the individuals targeted included David Baazov’ older brother, Joshua Ofer Baazov, and another close business associate, Craig Levett. The older Baazov and Levet appear to be the original founders of the “Amaya” entity, which began as tanning-salon entity called Celebrity Tan. 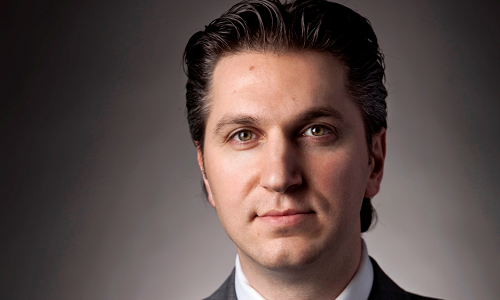 Older brother Joshua Ofer Baazov and associate Levett were among the many people the AMF believes profited from a long-term insider-trading and kickback scheme channeled in part through David Baazov — and extensively reported on in a feature at le Journal de Montreal — that claims the Baazov-linked men illicitly enriched themselves in Amaya corporate deals dating all the way back to the 2010 acquisition of Cryptologic. Both the older Baazov and Levett were also alleged (but never verified) to be shadow owners of Amaya within David Baazov’s roughly 19% ownership stock. Another investigative feature in Canada’s La Presse cited messages seized from Joshua Ofer Baazov’s phone that declared that 75% of David Baazov’s ownership bloc was being held on behalf of the his older brother and Levett. Neither man was likely to be well-received as prominent owners or Amaya executives as the company grew and came under increased regulatory watch. 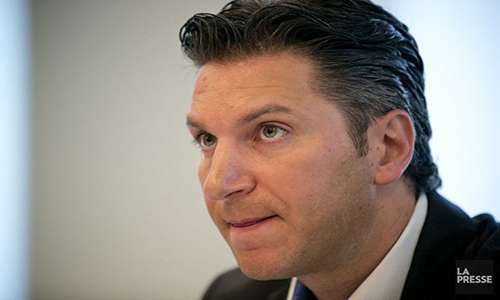 Joshua Ofer Baazov, for example, ran away from a large telemarketing-fraud fine levied by the US’s Federal Trade Commission, and the older Baazov and Levett were widely reported to be the true owners and founders of BetonSports, a defunct US-targeting offshore sportsbook and online-gambling operation that itself was targeted by US authorities, eventually resulting in its demise. All these and plenty of other skeletons led to Baazov first stepping aside from his twin President and CEO roles at Amaya, then later his being forced to resign from Amaya and sell off his his shares, regardless of who the true beneficiaries really were. Amaya also chose this period to rebrand its corporate self as The Stars Group, at least in part to distance itself from all the bad press tie to the Amaya name. Given the extensive and detailed evidence of David Baazov’s alleged misdeeds, and though he remains friends with other prominent industry figures, there appears to be far more than sufficient reasons for the Quebec’s AMF to have investigated Amaya and eventually brought the charges. Instead, this appears to be another grandstand play by the aggressive and litigious Baazov, designed to rehabilitate his online image and bury some of the earlier bad press. Baazov also famously concocted a takeover scheme of The Stars Group following his own ouster. Unfortunately, two of the four entities cited by Baazov as corporate investors didn’t quite pan out: One utterly and vehemently denied being part of Baazov’s boasted scheme, while another was… imaginary. Amaya/The Stars Group moved quickly to severe remaining ties to Baazov in the wake of that fiasco. Baazov’s claims of “abusive” and “malicious” prosecution by the AMF also belie the real facts of the insider-trading case, which was dismissed on an important technicality, but a technicality nonetheless. The two investigations and multiple prosecutions in what the AMF described as its largest-ever case also resulted in its largest-ever cockup, that involving the oversharing of millions of pages of documentary evidence which was irrelevant to some of the people either indicted or under continuing investigation. The AMF was also facing increasing heat over delays in processing all that information, and ultimately, when it turned out they’d ultimately screwed the pooch, presiding magistrate Salvatore Masci stayed the proceedings and scolded the AMF at length, citing a “lack of rigour” and “laxism”. This all seems true. Yet it is far from the entire story. The real core of the foul-up was a misunderstanding between two AMF investigators in parsing out which documents were to be shared with which defense parties as the “Bronze” and “Audace” cases and investigations continued to expand and overlap. One of the AMF investigators used a term, “mirror copy”, that had a larger meaning to the second investigator charged with assembling and disseminating all the documents demanded within the discovery process. The testimony of Xavier St-Pierre, a Bronze investigator, reveals that the analysis of the searches of March 23, 2016 begins the same day. According to the investigator, the first search within computer files, depending on the pair of glasses of a particular offense, is very fast. This initial analysis allows him both to continue his investigation, as well as to obtain relevant information to formulate requests for international assistance where appropriate. The addition of new parts in the database consultation database allows it to interrelate, which results in a return to the parts initially consulted. According to the testimony of Xavier St-Pierre, because of requests for disclosure of the evidence to be heard in the spring of 2017, there is, between March and April 2017, a possibility that a court may order the disclosure of Bronze evidence in Audace. At the time, although the respondent’s position was that this evidence did not constitute “the fruits of the investigation” of the Audace project, knowing the volume of the evidence gathered, the investigator St-Pierre asks , on April 17, 2017, to the investigator TI Cayer, to prepare a “master” of the proof of the Bronze project (Exhibit R-65). As the disclosure order was not made, the order to prepare a “master” of the Bronze Evidence remained on the ice. Finally, in the summer of 2017, during a return to the bank of consultation files following access to documents Josh Baazov (documents for which a privilege was claimed) investigators discover a new component of Bronze survey; that of false or misleading information. According to the testimony of the investigator St-Pierre, the theory in this respect is stringed around the month of July. A meeting of the Bronze investigators and the Audace prosecutors takes place on August 28, 2017, where the investigator St-Pierre informs them of this new investigation. It is therefore on August 28, 2017, that the need to disclose to the applicants the evidence gathered in the parallel inquiry is crystallized; false or misleading information that may be relevant to the applicants in this case. On 1 st September 2017, following that meeting, an order to prepare three copies of the “master” for disclosure is passed to the IT investigator Pierre-Marc Cayer. DP16 is delivered to the applicants on 21 September 2017, together with an inventory of the evidence. On October 19, 2017, the investigator St-Pierre sent an electronic message to the investigator TI Cayer concerning the Bronze proof disclosed to the applicants, the latter having made the “master” provided in three copies to the applicants (Exhibit R – 66). Due to the equivocal nature of the written response, the investigator St-Pierre, according to his testimony, interprets the response of the investigator TI Cayer as meaning that files were not inadvertently released. In the light of the testimony of the investigator TI Cayer, it turned out that on the contrary, a communication error between the latter and the investigator St-Pierre occurred and led to the disclosure of files unfiltered in the DP16. The investigator St-Pierre, when ordering the master on April 17, 2017, would have used the term “mirror copy”, believing that this expression is translated by the evidence to which the investigator with the file has access once the applied filters . The investigator specialized in the field of computer science understood something else, which led to the preparation of a “master” containing all the evidence collected without the appropriate filters being applied to the computer files. As a result, nearly 14 million files were disclosed to the applicants on September 21, 2017. This error is corrected on November 20, 2017, where the respondent submits a copy of the evidence gathered with the appropriate filters. It is this writer’s opinion that Baazov’s chances of succeeding on his claim are approximately zero, barring the introduction of some bizarre, damning new behavior by the AMF. But that’s not what this is about; it’s instead a story of image management.